이 글은 유엔 인권이사회의 2013년 결의안에 의해 설치된 북한인권조사위원회가 2014년 발간한 보고서를 비판적으로 검토함으로써, 북한 인권 문제에 대한 이해를 심화시키고 북한 인권 개선의 효과적 방안을 제시하려고 하였다. 조사위원회 보고서에서 제시된 북한 인권 침해의 실태와 조사·평가 방법, 북한 인권 침해의 원인, 북한 인권 개선을 위한 권고사항 등을 비판적으로 검토하는 작업은 조사위원회의 활동과 권고를 전면적으로 부정하는 작업이 아니라 성과와 한계를 명확하게 밝히는 작업이다. 특히 이 글은 한반도 분단체제와 탈-분단이라는 개념에 바탕을 두고 북한 인권 문제를 바라봄으로써, ‘인권 우선 관점’과 ‘국가주권 우선 관점’의 대립을 지양하고 또한 조사위원회의 권고보다 조금 더 현실적인 북한 인권 개선 방안을 제시하려고 노력하였다. This article presents a critical review of the reports submitted on 7 February 2014 by the Commission of inquiry on human rights in the Democratic People`s Republic of Korea, which was established by the United Nations Human Rights Council on 21 March 2013, and tries to more deeply understand the problem of North Korean human rights and to propose a more appropriate action program in order to improve the human rights situation in North Korea. 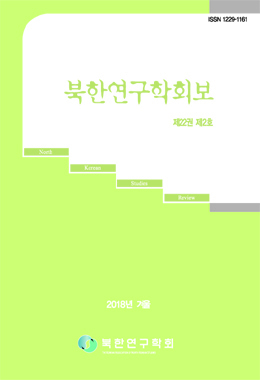 Our criticism focuses on three points: the human rights situation in North Korea and the working methods of the Commission of Inquiry; the context and causes of human rights violations in North Korea; and the recommendations of the Commission of inquiry. To criticize the reports of the Commission of inquiry is not to deny completely the activities and reports of the Commission of inquiry, but to make clear its achievements and limitations. This article introduces the concepts of ‘division system in the Korean peninsula’ and ‘post-division’ in analyzing the problem of North Korean human rights problem, and attempts to get around a conflict between a ‘rights-up-front perspective’ and a ‘national-sovereignty-first perspective’.